Without rigorous verification, testing, and maintenance of your vSAN architecture, it’s impossible to get the most value from this technology – missing out on the possible improvements to storage policy-based management, IOPS, and QoS. 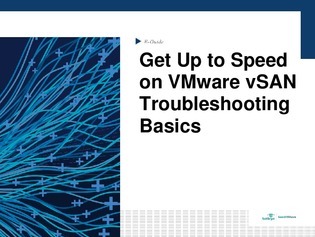 Virtualization and Linux expert Stuart Burns offers step-by-step guidance on VMware vSAN troubleshooting in this e-guide, including a visual of the web client and how to troubleshoot during host failure. Read on for the essentials.